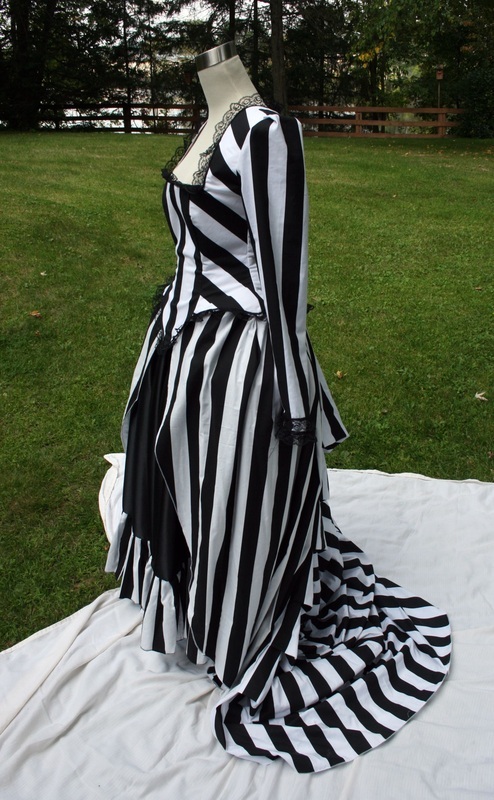 The Sleepy Hollow based on our Gothic Victorian Gown with heavy influences from the costume worn by Katrina in "Sleepy Hollow". Perfect for making a grand entrance to your special event! We were honored that one of our bridal customers was featured in Off Beat Brides E-Zine wearing this gown*. The Bodice: The bodice is completely lined and has boning along the back laces to prevent bunching when laced. There is also heavy boning along the front panel to smooth and uplift. 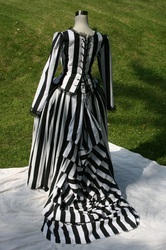 The set in sleeves are wrist length, semi-fitted and trimmed with lace. 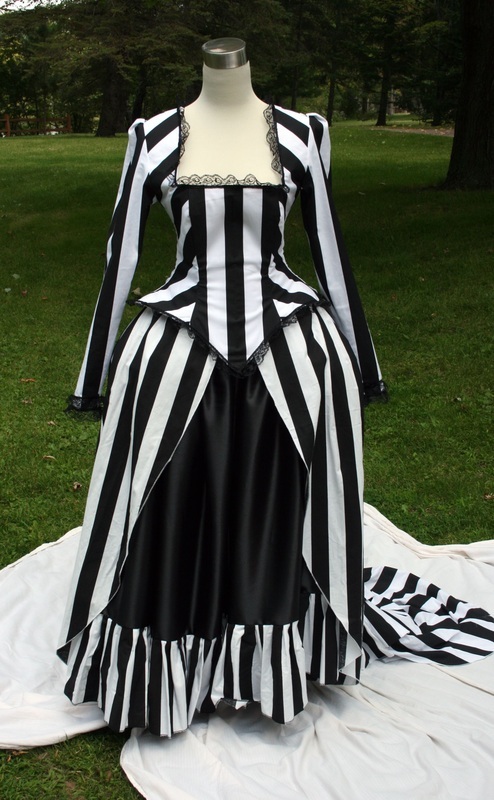 Skirts: This gown features two skirts. 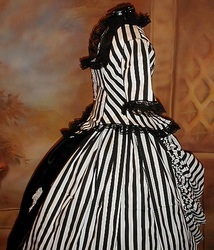 Both the Underskirt and Overskirt are very full and will easily fit over large hoopskirts or crinolines. 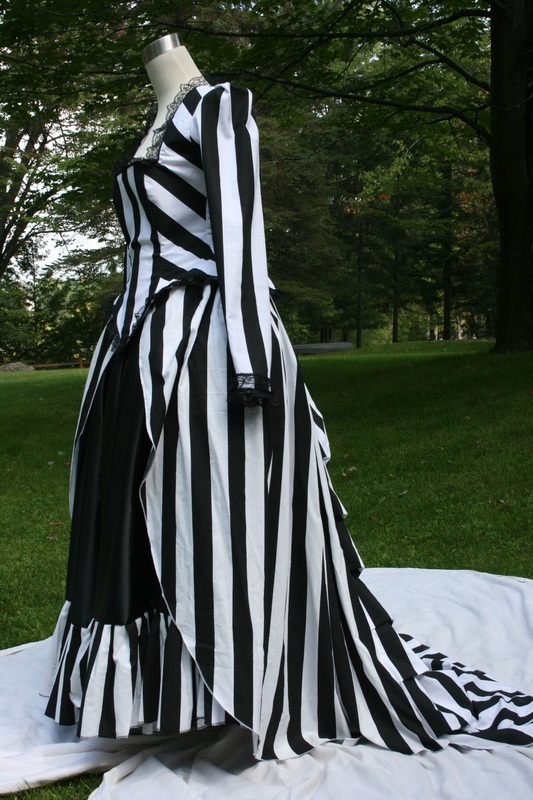 The Overskirt features a bustle and train for a truly memorable look. 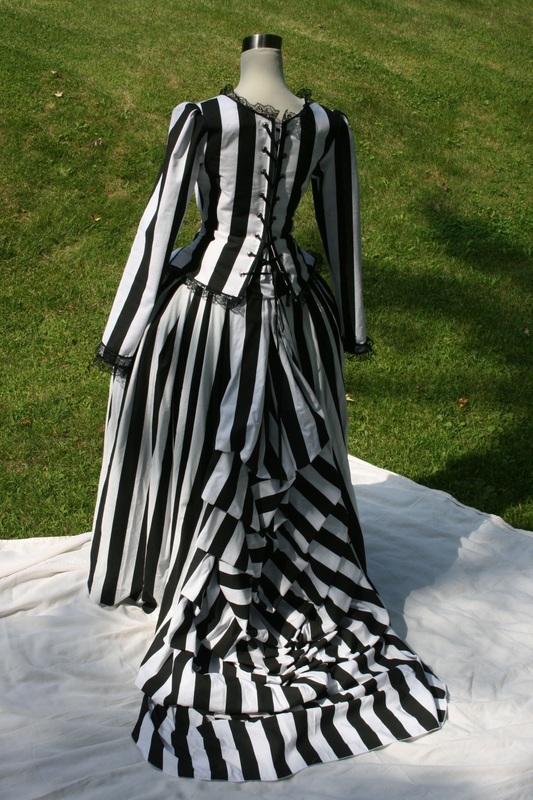 This gown is made with cotton black and white stripe fabric with a black satin underskirt. 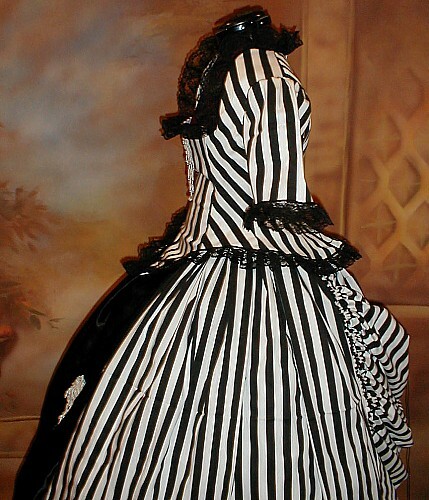 The stripe pattern width may vary slightly based on availability. *Many thanks to bride Danielle and photographer Laura Nikisher for permission to use the center top row picture.